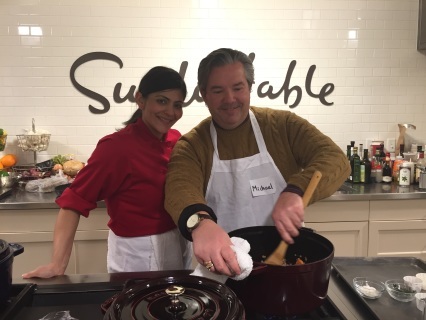 Join your neighbors and friends on February 18th at Sur La Table for a fun, hands-on cooking class where you will learn to create a variety of crowd-pleasing Italian favorite dishes. A professionally trained Sur La Table instructor will guide you through the essential techniques needed in their state of the art kitchen, equipped with the highest quality tools and cookware. The personalized attention guarantees you will learn the cooking skills you desire and get all your questions answered. You may also bring a bottle of wine to share with the group.